On a recent expedition to Seattle, we checked out a liquor store that we hadn’t been to before, down in the Sodo district. Fortunately for us, as our local liquor stores don’t carry much of a selection, the state liquor board website is kept more or less up to date, and we were able to determine that the Sodo store was one of the only places in the state that carried a particular gin we were looking for. As it turned out, they had a happy selection of amaro as well. 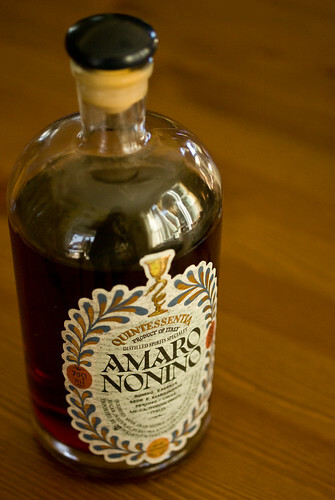 We picked up a bottle of Amaro Nonino and took it home to experiment. We’re not total strangers to amaro – we love Cynar, and we have a bottle of Fernet Branca in our cupboard, not that we drink it unless we’re taken by a sudden desire for toothpaste-flavored drain cleaner. 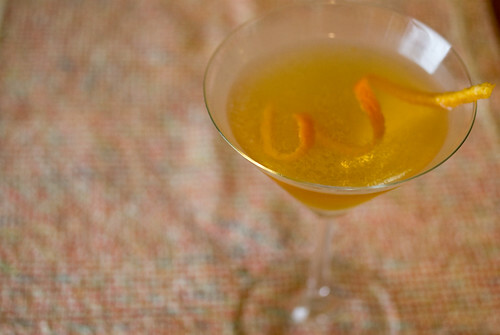 But the Nonino is something different – sweet and bitter all at once, with a softly syrupy mouthfeel and caramel overtones. 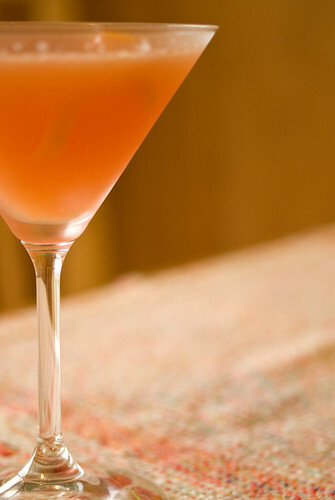 It goes rather well with chocolate chip cookies, and is a great addition to cocktails. We have a long list of amaro-based drinks to try, but to start off we tried two: The Jollity Building and a Blood Orange, both found in our standby drink reference, Mr. Boston Official Bartender’s Guide . 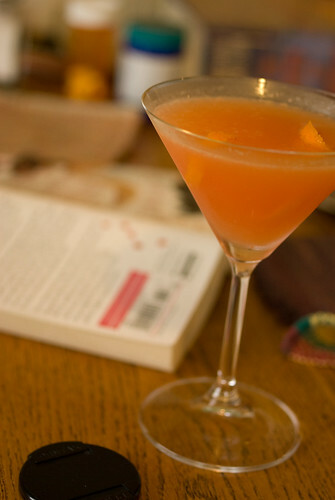 The Blood Orange was very pleasant, sweet and orangey with a nice herbal undertone. The Jollity Building was more complex and, for lack of a better descriptor, more adult. It was almost medicinal tasting, but in a good way, if that makes any sense. It grew on us. 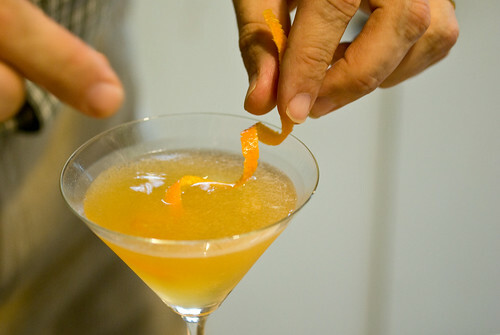 Stir with ice and strain into a cocktail glass, garnish with an orange twist. Hmm, don’t know that our local ABC would carry that, but as you’ve hit upon my new hobby, I may give it a try. New hobby? You getting into cocktails, Brett?